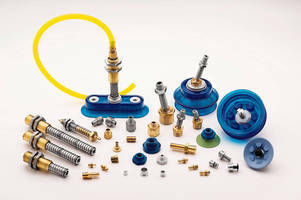 Cincinnati, OH -Vi-Cas Manufacturing provides a roller reconditioning service for all types of rollers - in long lasting polyurethane, or silicone for high-temperature applications. Rollers from all types of equipment can be recoated to original equipment specifications at a fraction of the price of new. Durometers from A20 (very soft) through D60 can be applied to existing cores. 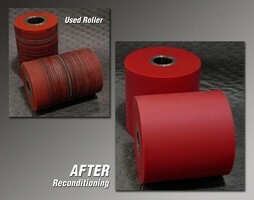 In addition to reconditioning of used rollers, Vi-cas offers new rollers to customer specifications. Vi-Cas can manufacture rollers from supplied drawings, or reverse-engineer rollers from supplied parts. Quick turnaround provided on all orders. 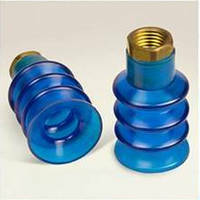 In addition to rollers, Vi-Cas has been manufacturing vacuum cups in various shapes, sizes and materials sine 1970. 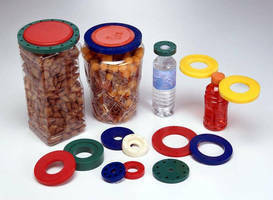 They provide short or long manufacturing runs, with short turnaround times. On demand delivery is also available. Vi-Cas can quote custom designs from customer-supplied drawings, or reverse engineer from customer-supplied cups. For more information contact Rob Wagner of Vi-Cas Manufacturing at (513) 791-7741, 8407 Monroe Avenue, Cincinnati, OH 45236, via e-mail at vicas@juno.com, or visit them at www.vi-cas.com. 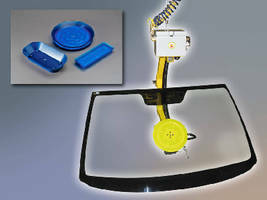 Replacement Vacuum Cups are available for ergonomic lifters. Large Vacuum Cups handle bulky items. Contact Parts suit capping equipment.